A small earthquake was detected near McCormick around 6:30 a.m. Thursday, according to a report by the U.S. Geological Survey. McCormick, SC (WLTX) - Hurricane Florence has dominated headlines the past week, but another type of natural diaster made itself known Thursday morning. 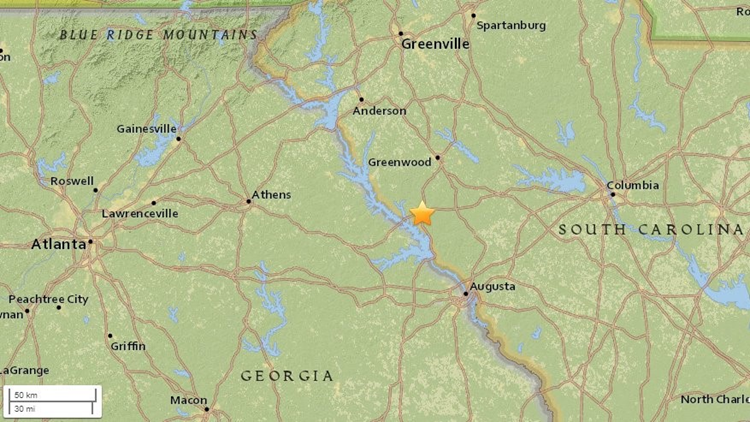 Registered at a 2.6 magnitude, the earthquake hit around the McCormick County Airport, which lies close to the Georgia-South Carolina border. Although earthquakes are less frequent in the area, USGS says a broader region usually feels the effects.